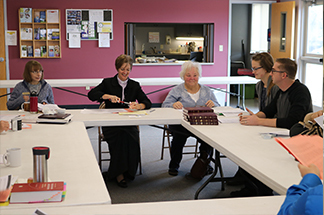 The Bible studies at King of Glory Lutheran Church are pastor-led and are open to anyone who would like to join. If you’re looking for a women’s Bible study or men’s Bible study, we have groups for you too. Meets in the Fellowship Room from 9:30 AM – 10:30 AM. No need to sign up. Just come and join us. We laugh as much as we learn while looking at God’s Word! Meets at 9:40 AM in the Fellowship Room between services. Grab your coffee & donut and come on down!